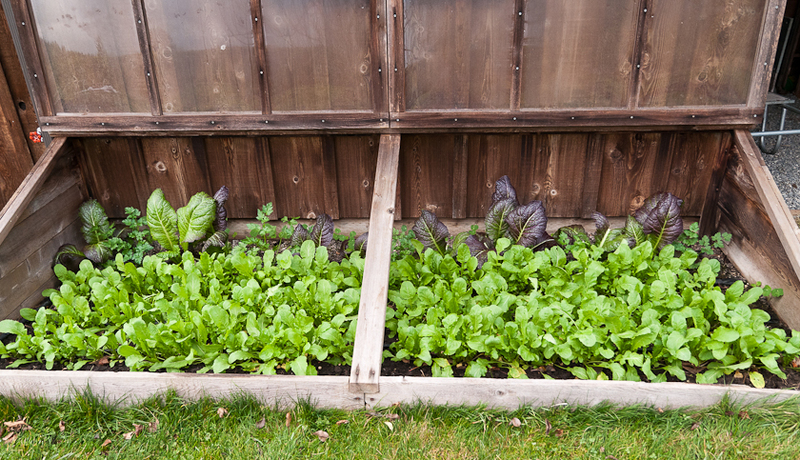 If you have garden space and interest, you still have time to plant cold-hardy greens for late fall and winter. Last week, I started seeds of escarole, curly endive, radicchio and mache, also know as corn salad. They’ve germinated and will be ready to set out in the garden in another week or two. A good spot for them will be the storage onion bed that is empty now that I’ve just harvested the onions. I also planted four short, three-foot rows of arugula directly in the garden in part of the bed available after I pulled the fava bean plants. Every other week between now and late September, I’ll plant more mache in flats and as space opens up in the garden more arugula and several different varieties of mustards. 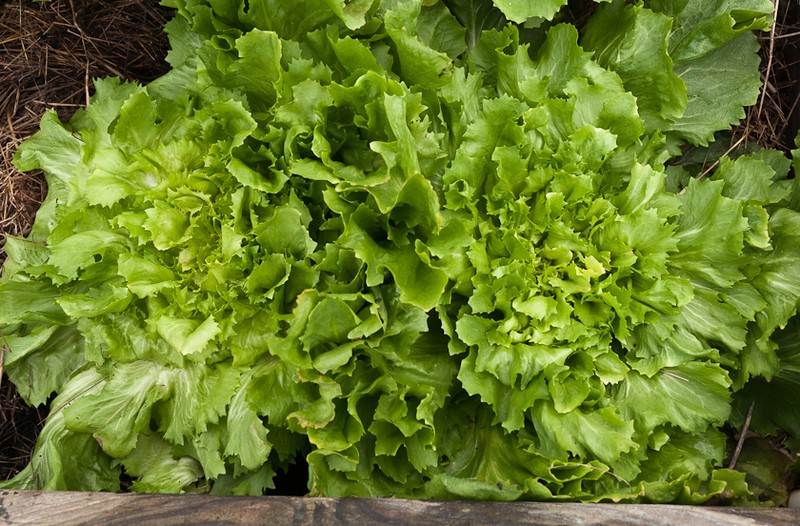 All of these cold-hardy greens will thrive in the cooler temperatures and shortening daylight of late summer and fall and, with a little protection during cold spells or heavy rains or even snow, will provide tasty salads and sautés throughout the winter. If you want to try just two, arugula and mache are good choices. You can plant them any time between now and the end of September. 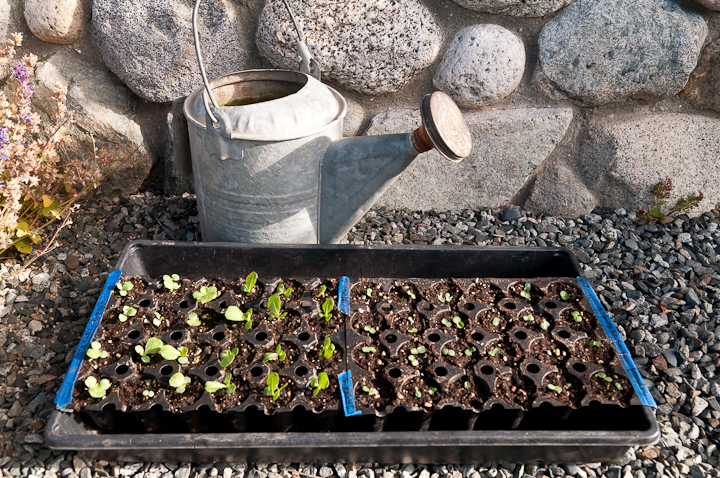 Arugula germinates quickly and grows vigorously. It tolerates light frosts, but if weather colder than mid-twenties threatens, covering it with a layer or two of Reemay protects it and a portable cold frame or low hoop house shields it from the weight of snow. 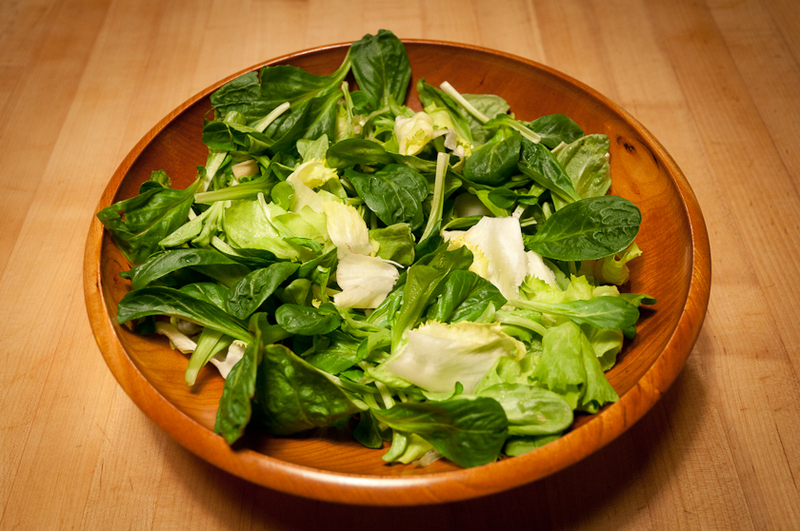 Grown in cooler weather, it is less pungent and more nutty and succulent than summer-grown arugula. 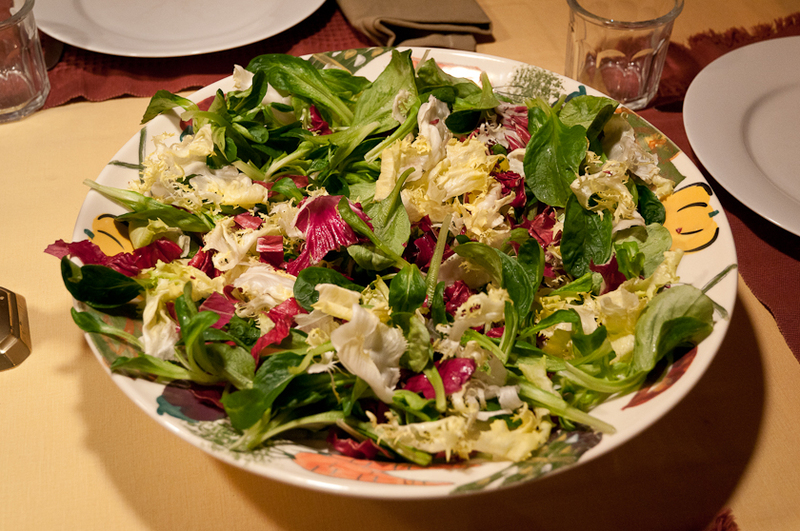 It’s perfect in a salad with toasted walnuts and Pecorino Romano cheese; see Deborah Madison’s version in her Vegetarian Cooking for Everyone (p. 145). Another combination of these same ingredients makes a rich pesto, perfect for whole-wheat or emmer farro flour pasta. Use the same proportions, including oil, you’d use for basil pesto. For seed, I use Fedco’s basic Arugula. Mache germinates more slowly, often taking a couple of weeks, and initially it grows slowly as well. But, once it takes off it forms a dark green rosette that is remarkably cold hardy. I’ve actually picked it in the snow. 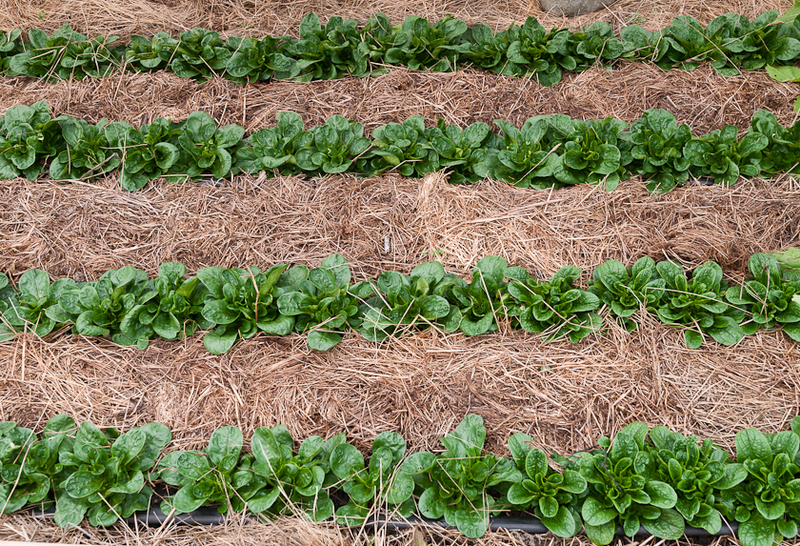 I mulch it mainly to keep the leaves free of dirt that can splash up during winter rains. 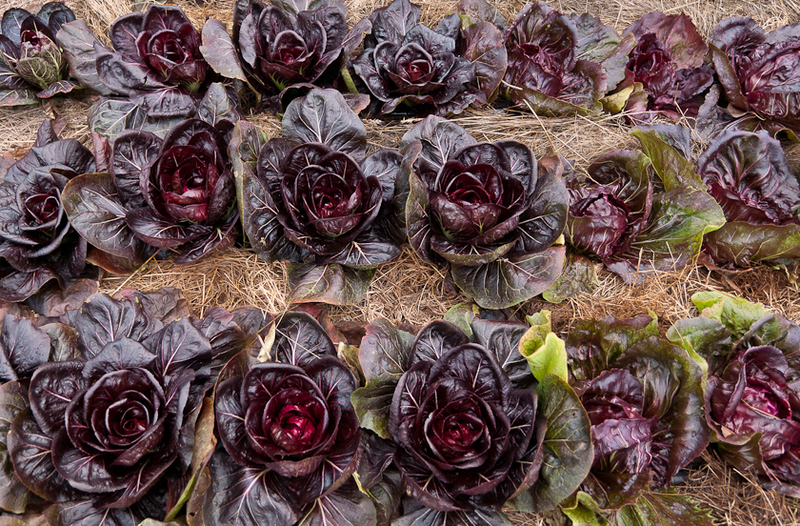 When the rosette has several tiers of leaves, I pick the whole plant, separate the leaves, wash them and enjoy mache in winter salads by itself or mixed with roasted root vegetables or julienned raw celery root. It has an earthy, mineral flavor with undertones of mint and, like most hardy greens, a thicker, more succulent texture than summer greens. People who have never eaten it before are astonished by how good it is. The variety I grow most often is Vit but I also like Verte de Cambrai and Large-Leaf Round. 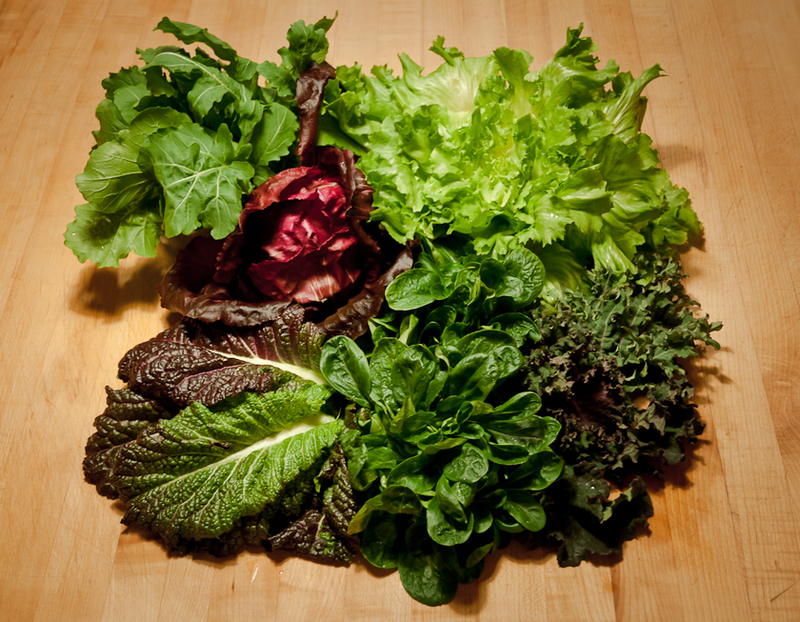 As the cold-hardy greens grow in my garden, I’ll post photos and suggest more ways prepare them for the table.